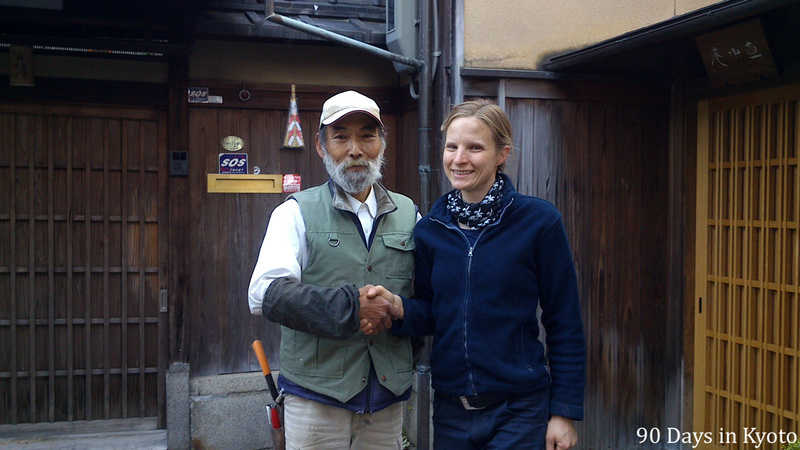 Our head gardener of Kodai-ji is leaving for a project in South Africa which will take several months to complete. This is our goodbye, I am not sure I will see him again. Within only a few weeks he has taught me so much – not only about Japanese gardens and building stuff, but also about cooking, life and philosophy. Whenever I had the time I took notes of our conversations. Read more about one of my first lessons here.